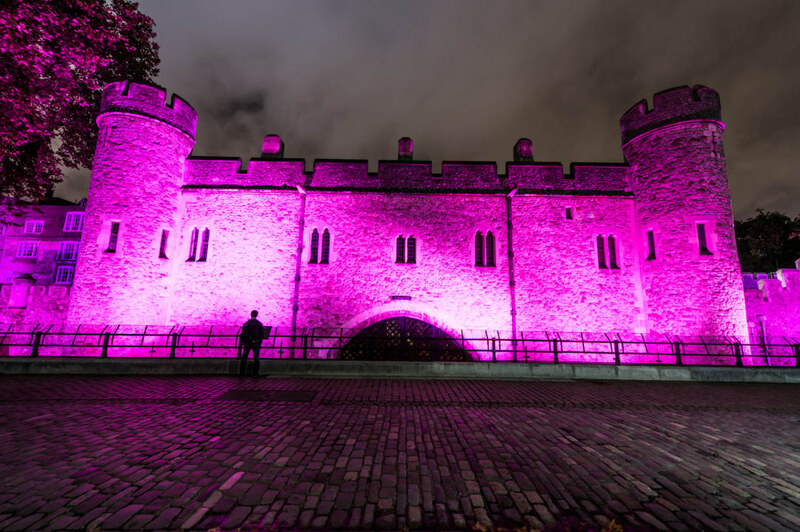 The Tower of London is illuminated pink for Breast Cancer Campaign's 'Turn London Landmarks Pink' for breast cancer awareness month on Oct. 1, 2012. The HMS Belfast is illuminated pink for Breast Cancer Campaign's 'Turn London Landmarks Pink' for breast cancer awareness month, Oct. 1. 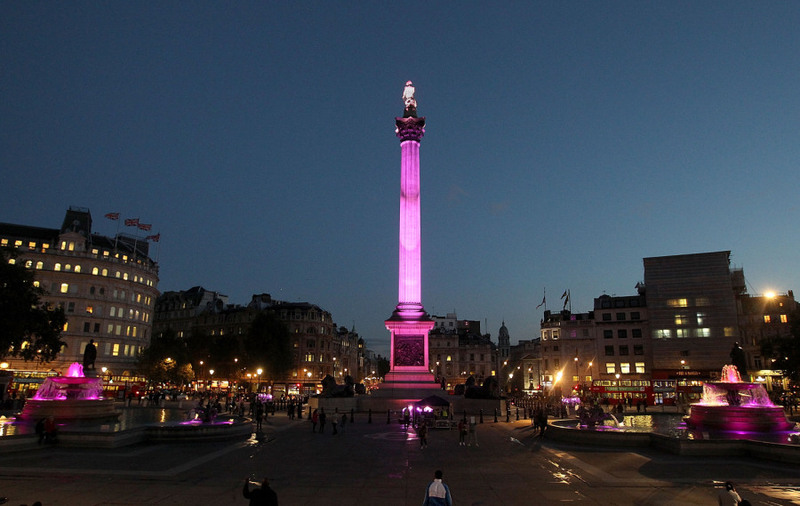 Trafalgar Square is illuminated pink for Breast Cancer Campaign's 'Turn London Landmarks Pink' for breast cancer awareness month, Oct. 1. 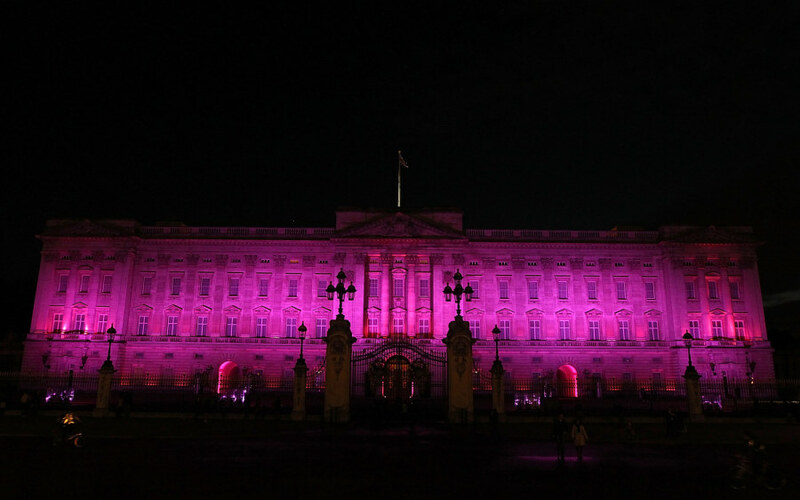 Buckingham Palace is illuminated pink for Breast Cancer Campaign's 'Turn London Landmarks Pink' for breast cancer awareness month, Oct. 1. 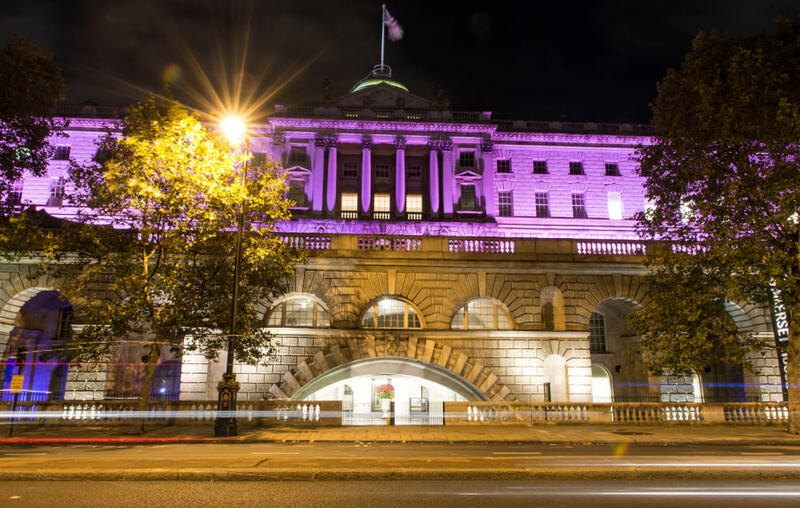 Somerset House is illuminated pink for Breast Cancer Campaign's 'Turn London Landmarks Pink' for breast cancer awareness month, Oct. 1. 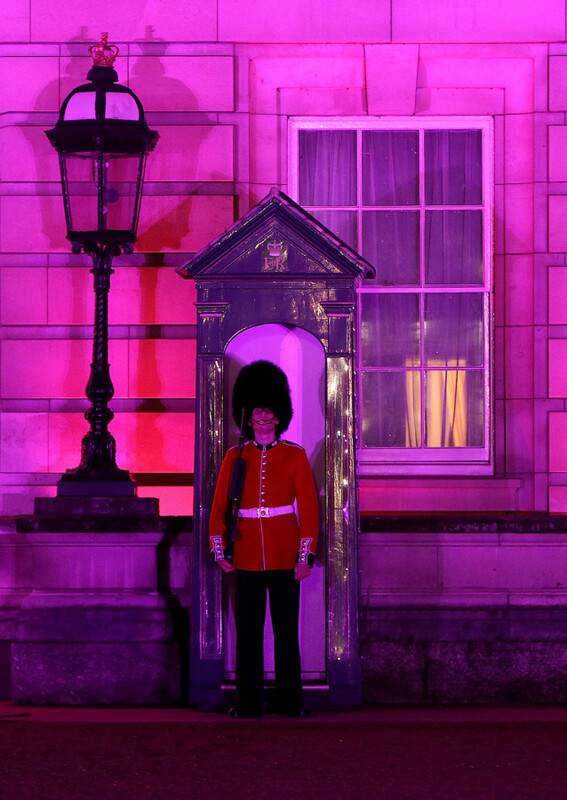 A Queen's Guard stands guard as Buckingham Palace is turned pink for Breast Cancer Campaign's 'Turn London Landmarks Pink' for breast cancer awareness month, Oct. 1. 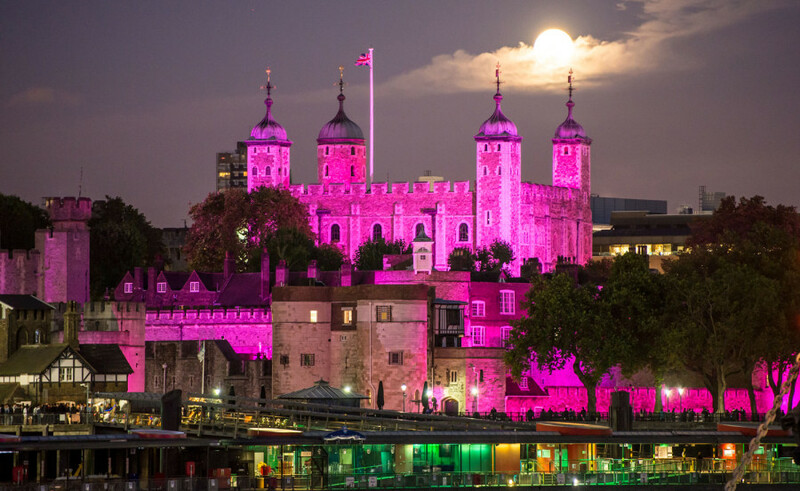 The Tower of London is illuminated pink for Breast Cancer Campaign's 'Turn London Landmarks Pink' for breast cancer awareness month, Oct. 1.